Can a TV show about building blocks possibly have all the primetime ingredients of conflict, casting and joy? Yes, according to Lego Masters executive producer David McDonald (pictured below). 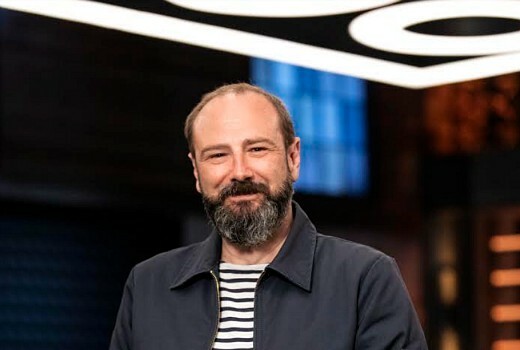 He is charged with overseeing the new reality competition for Nine, based on a UK format. He maintains you don’t have to be personally experienced in Lego in order to be entertained by the new series. “It’s all about creativity,” he explains. “Like Project Runway, do you have to be into fashion? Probably there is a niche audience who would say Yes. So You Think You Can Dance was big. I remember the first series of that and I’m not interested in dance. But I remember hearing Jason Coleman break down the technical aspects. 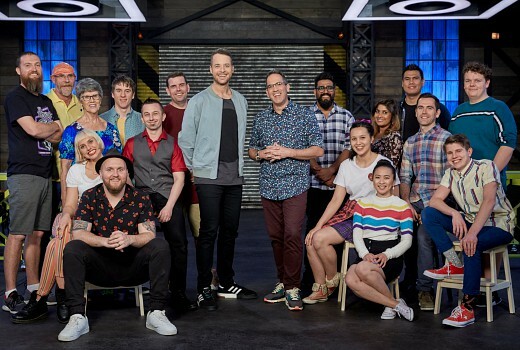 The 9 episode series sees teams competing for $100,000 and the championship title. “It’s a very diverse cast in ages and building styles. Some may have the creativity but not the technical skill to be able to execute a build,” he continues. “Others have engineering skills but because of the way they build you don’t always see the little bits. “And a huge part of it is being able to tell a story. It’s not like a diorama where you have someone explaining what it is. You have to be able to look at it and let it reveal itself. The really good ones you will look at again and again. Hamish Blake hosts while Lego expert Ryan “Brickman” McNaught is judge. “To a degree it’s almost like treating Lego as another modelling medium. I guess like scale modellers who work in wood or plastic, sculpting things out of putty. These guys do the same thing but with Lego,” McDonald explains. “The bit that is really engaging is we all have some sort of connection to Lego and what we think it is. We understand the medium. But when you see what they create out of it, that’s the ‘wow’ part of it. And when things don’t go to plan, there can be plenty of drama, without the need to resort to bitchiness. “Lego breaks very easily. It can be put back together but it breaks very easily,” he continues. “A lot of the time they are fighting against their own ambitions. It’s that battle of ‘I know what I want’ but also their frustration. “You see them going down the rabbit hole but then realising it ain’t working. Do you bin the whole lot and start again? So that’s the story, the ad break, the drama. The Lego Movie is indicative of how big the appeal of the brand is. But McDonald concedes whil that may spark initial interest, the rest is up to the show. “I hope that’s a drawcard even if it’s just to see what it’s about. Then the rest is up to what our guys can do. In the end you can build a machine but you’ve got to hand it over to (the cast),” he admits. “Hopefully they will build something that will keep people coming back, that will surprise and delight. Lego Masters premieres 7pm Sunday April 28 on Nine. Not my cup of tea, and seems a bit niche, but good on them for showing something other than trashy reality. Sorry they are called Lego bricks. They are not blocks. I’ll be certainly watching the first episode, but I’m not sure about the rest (though I do really enjoy Masterchef…)! Be like the kid in the taco ad “Why not have both?” depending on whether you find 9Now or TenPlay the more reliable catchup service. We find them to be on a par with each other so our priority will be to watch Masterchef live and do Lego Masters on 9Now straight after. David Leckie used to refer to Seven’s programming schedule as like building a brick wall piece by piece, but I don’t think he ever had these kinds of bricks in mind ! More Dad jokes to come . Occasionally, Nine have moments of brilliance that break through their blandness. Ninja Warrior was one and I think this is their next. I’ll definitely be giving this a shot. Agree this will be a surprise ratings hit with similar numbers that ninja warrior first received . Not for me thou lol .. I have a feeling this will be big as well. Nine have turned things around in my eyes and are trying something different. 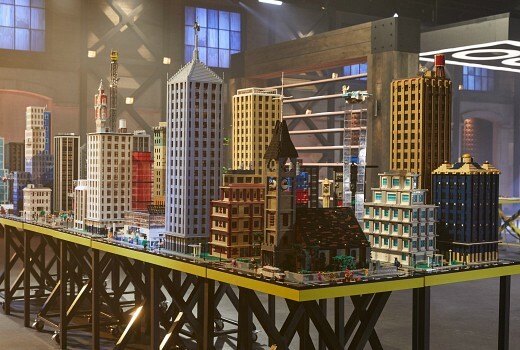 “…it’s almost like treating Lego as another modelling medium.” What does he mean by “almost”? Lol. I don’t know … there’s just something about this show that doesn’t stack up . Oh come on Dad. You can do better than that! This is poles apart from MAFS. 9 should be applauded (or any network really) for trying something that’s not trashy and exploitative.